To book reasonably priced flights on busy dates one needs to make the booking well in advance. Last week we had a look at flight prices for the June 16 long-weekend. This week we prepared for school holidays. Schools break up for holiday on the 20th June in Free State, Gauteng, Limpopo, Mpumalanga and North-West Province's schools (the rest of South Africa waits until the 27th June). Cheapest economy class flight from Cape Town to Johannesburg is with Mango Airlines (R641), and cheapest business class flight is with South African Airways (R1994). Cheapest bus trip from Cape Town to Johannesburg is with City to City coaches (R390). Once you arrive at Johannesburg you may want to hire a car at O.R. Tambo International Airport : In every single car rental survey we have carried out Tempest car hire has offered the cheapest car rental price. This week is the first week we've added Budget South Africa to our surveys and they came in with a good price of R333. Europcar South Africa is most expensive. As usual Road Lodge offers the cheapest night's accommodation in Johannesburg. The Melrose Arch Hotel has seen a R200 increase in its prices since the last survey. Emy decided not to catch a flight from Cape Town to Durban, but rather to go with the Baz Bus to Umzumbe (where she stayed at the Mantis and Moon backpackers). Her blog is well worth a read - but warning, there are tons of photos (which I like, but on South African broadband it does take a long time to upload). She saw the beach, went bungie jumping (Bloukrans? 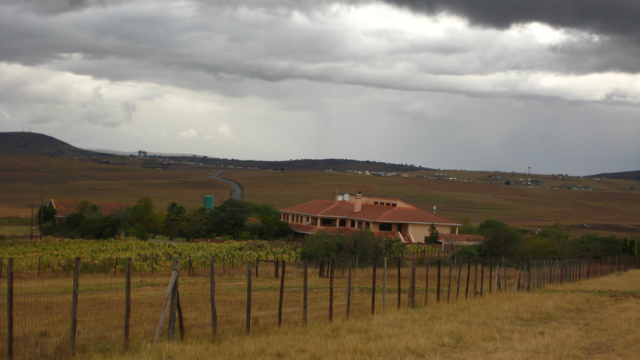 ), white water rafting and saw Nelson Mandela's home. "I thought it [Ryanair] was a stupid business"
"I kept trying to get out. I thought it [Ryanair] was a stupid business, and it was also very high profile. I didn't want a high profile; I wanted to make lots of money but not be known." Michael O'Leary, the man at the helm of Ryanair flights recalling his early feelings about the airline; the quote is from O'Leary's biography by Alan Ruddock, "A Life in Full Flight: The story of the man who made Ryanair take off".